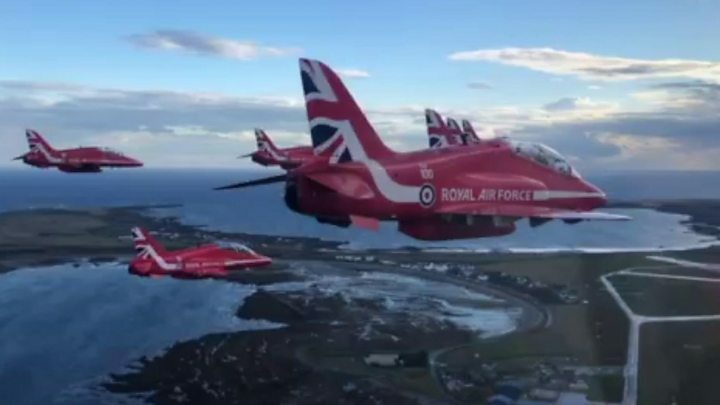 The Red Arrows have confirmed they will hold a display above the Isle of Man during the annual TT festival. The Royal Air Force Aerobatic Team will mark their 40th year of wowing visiting the island, with thousands of bikers and local residents set to enjoy the show. Rob Callister MHK said the 4 June display above Douglas Bay on 4 June is "great news for the Isle of Man TT." He said the Red Arrows spectacular "never fails to draw in huge crowds". Mr Callister added: "It's fantastic that they have been performing for our island for 40 years and I look forward to seeing their latest tricks." The Red Arrows team was formed in 1964 and replaced a number of unofficial teams that had been sponsored by RAF commands.